Every mom's life can be made a little easier this Mother's Day with a tech upgrade from her loving family. These seven products will help Mom get work done on the road or in the house, stay connected to those she loves and give her the best in online entertainment. And if Mom is a little hard to buy for, we've got a solution for that, too! 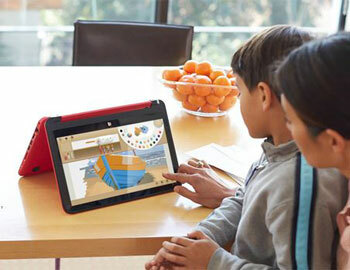 For a laptop that's as versatile as Mom, the HP Pavilion x360 is a winner. Whether Mom's working, watching movies with the kids or checking out recipes in the kitchen, the 360-degree hinge lets her adjust the laptop to meet all of her productivity and entertainment needs. Starting at only $399.99, it's also a real bargain. If Mom is regularly working on the road, this sleek, next-generation Chromebook offers a lot of features for not a lot of dough. She'll love the large 14-inch HD display and the long battery life (up to 9.5 hours) to keep her connected all day. And the beautiful, coral-colored case really stands out from the crowd. Want to get Mom a PC with plenty of power for work or photo and video editing? The HP ENVY Recline's choice of Intel Core i5 or i7 4th-generation processors will give her what she needs. 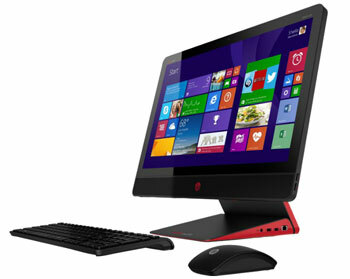 Plus, the HP ENVY is designed for the most comfortable, immersive experience available in an All-in-One PC. Glide the unique adjustable 23-inch full HD touchscreen for more comfortable touch computing, or position it upright to accommodate a keyboard and mouse. When Mom stops working and starts relaxing, she'll love the studio-quality sound delivered by the Beats Audio™ experience. Is Mom's smartphone her lifeline to work, family and friends? Then help her stay connected with a portable battery charger that ensures her phone will never go dead when she needs it most. 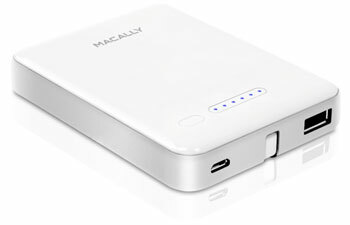 The Macally MBP30L's combination of portability, power, connectivity and price, makes it the best portable battery charger under $50. Not sure what to get Mom? 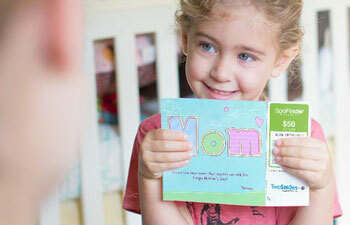 Create your own custom gift card with TwoSmiles for a truly unique Mother's Day gift. Pick gift options from one of TwoSmile's 63 partner merchants, such as Starbucks and Sephora, or give her a more personal token of your appreciation with a coupon for breakfast in bed or even just a hug. 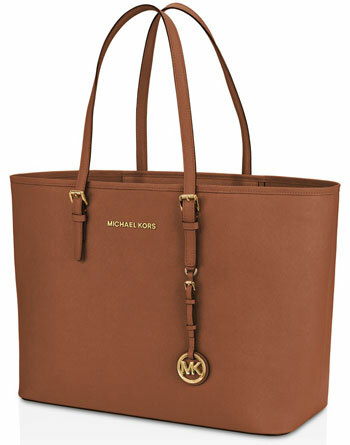 For the fashion-forward mom, the Michael Kors Jet Set Laptop Travel Tote has a look that's upscale and sophisticated. 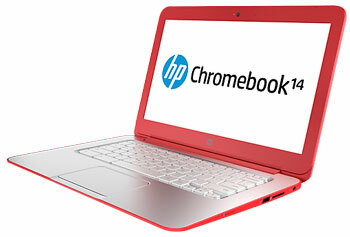 It's made of soft leather and comes in a variety of stylish colors, including red, fuchsia, tan, gray and black. Inside, there are three compartments, including a zippered inner pocket for stowing a laptop, to hold everything she needs for a day on the go. If Mom's an Amazon fan, you can't do better than the Fire TV streaming media player, which makes it easy to access digital Amazon content on your television as well as Netflix, Hulu, Crackle, Pandora and a number of other streaming media services. 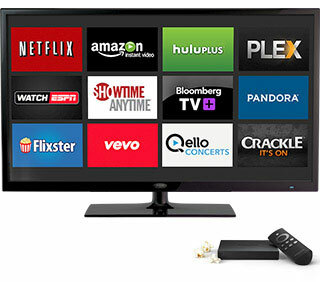 The Fire TV stands out with smart features any mom is sure to love, including its easy voice search feature, large selection of great casual video games (even if the kids wind up playing them) and Amazon's FreeTime parental controls (coming this spring), which will make it easy to restrict the kids to age-appropriate content.